First of all, Smart DNS Proxy does not use any kind of coupons or codes to give discounts. But occationally they run promotional campaigns that you can access through hidden links that cannot be found on their website. On this page, I will keep track of and unveil any possible promotional links at the time. You’ll find the current status on the top of this page. If there is none available, I suggest you have a look at their current pricing options for quantity discounts and free trials. Click on the activation link above and make sure you see a message that the special discount is working and activated. Then proceed to sign up, or login to your previous account. In the ‘My Account’ page, click on ‘Subscribe’. The subscription page will show the now available special discounts in green, marked as ‘*special’. Originally I used traditional VPN systems, where all of the traffic would be transferred through the host server. This was great in cases, like when I am transferring torrents and want all of the traffic encrypted. But now that we have so many content restrictions and devices on our hands, I needed a multi-purpose solution. Especially now that I have started travelling a lot for work, my needs have grown even further. However, this service is just something I have never seen before as it has been able to cover almost all of my needs. If I just want to see some favorite TV and news channels back at home, without interfearing with the rest of my internet activities, proxies are the way to go. Also having a smart phone, tablet & laptop with me not everything supports VPN. Best of all I can use unlimited number of devices with these systems. Everything is supported with a professional, easy to use interface. None of that complicated stuff I am used to with certain providers. If I would wish for some improvement, it would be to have some more servers available for countries such as Austria and Ireland. Already the availability is pretty impressive, but the competition is pretty tough if you compare to other VPN services, with 100+ something server locations. Anyway, from my personal experience I would say that this is a must service for some, especially if you are into unlocking websites and digital media. And perhaps for others a simpler, pure VPN concentrated solution will do. Either way, if you sign up I really recommend using a discount promotion as you can save a lot. 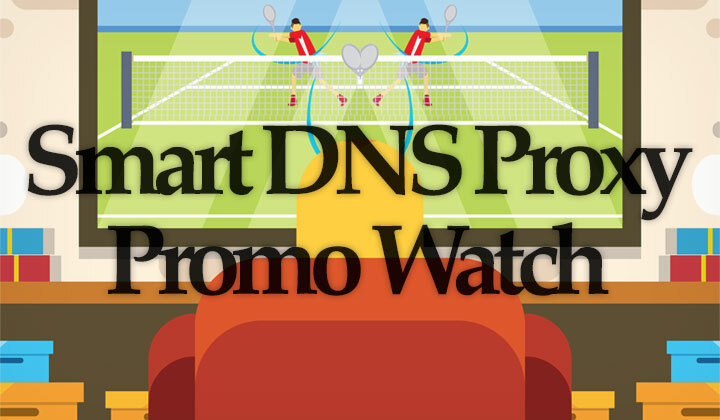 Please note: Promo subscriptions at smartdnsproxy.com not always but usually include all Smart DNS Proxy, SmartVPN & VPN services. Offers include Black Friday, Cyber Monday. New! For the month of May: Smart DNS is having their birthday celebrations. And if you subscribe 12months, you can get another year subscription totally free! Btw. This post is frequently updated! Thanks for the promo link, it worked great. Hope we could get a discount for monthly plans as well though. Annnyway, cheers! As far as I know – there has never been discounts for monthly plans. The best known available promo, maybe once or twice a year is the one year free discount. Oh well… So wanted to ask, do you know if they have any nice (huge) discount for the upcoming Black Friday? And thanks very much David. The offers are usually the same or very similar — just depends on the time of the year if they have an available offer or not. I haven’t seen any Black Friday/Cyber Monday specific discounts in the past. I even went ahead and asked them, to which they replied that they have no plans for it. I would recommend just getting the longest possible subscription for the best current discount. As you said — it’s decent! And remember, no coupon codes or promo codes are ever needed. Hope this helps. Thanks for the feedback! Can you try this blackfriday link to see if it works? Seems that some seasonal offers are lifetime, some accept renewals, some not — it’s not always very clear. Worked just fantastic for me.. was looking for a good yearly promo so thanks very much for posting this! Thank you — very glad you got what you needed!